It is getting chilly here in Northern NJ. Now, this is feeling like fall. This weekend the nights are going to get very cool. Can anyone say YES FIRE!!!! Love when the weather changes to this coolness. The urge for baking and cooking some comfort food kicks-in. Speaking of cooking I forgot all about my recipe for Homemade Applesauce. Mine is easy, easy and once you’ve had it you will NEVER eat jarred again, NO KIDDING. I will be posting the recipe once I have made it, hopefully this weekend. 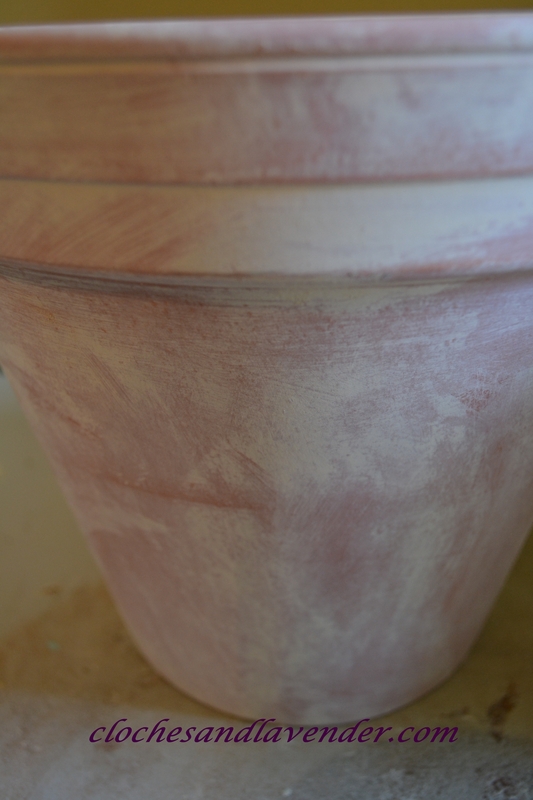 Now on to my fall pots. 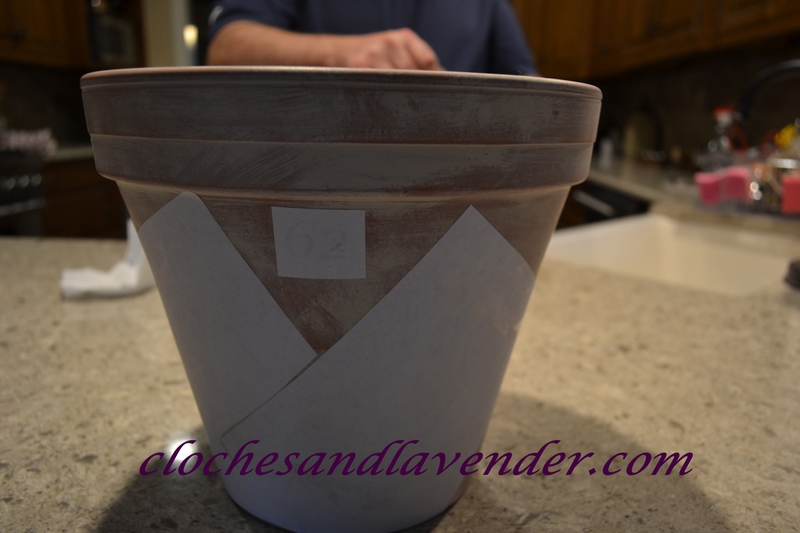 I decided to make pots to add to our front steps for our fall porch. 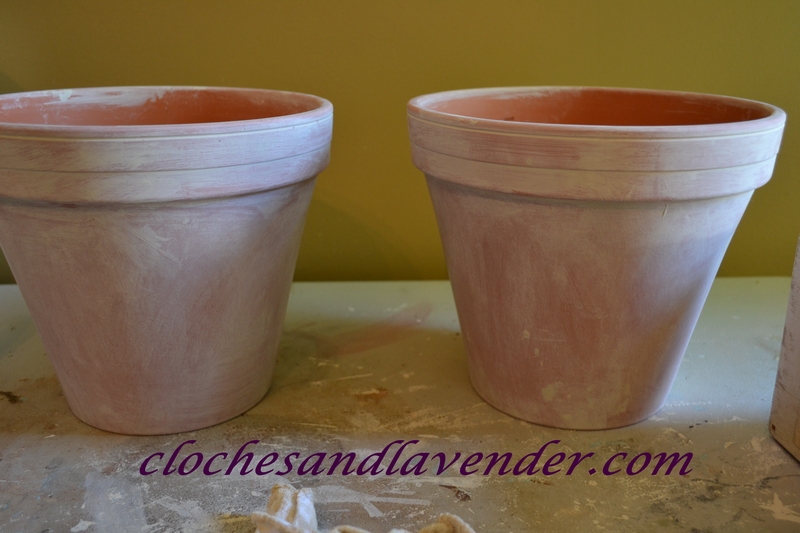 I purchased large terracotta pots from Michael’s and did a somewhat watered down of Old Ochre chalk paint on them so not to make them opaque. 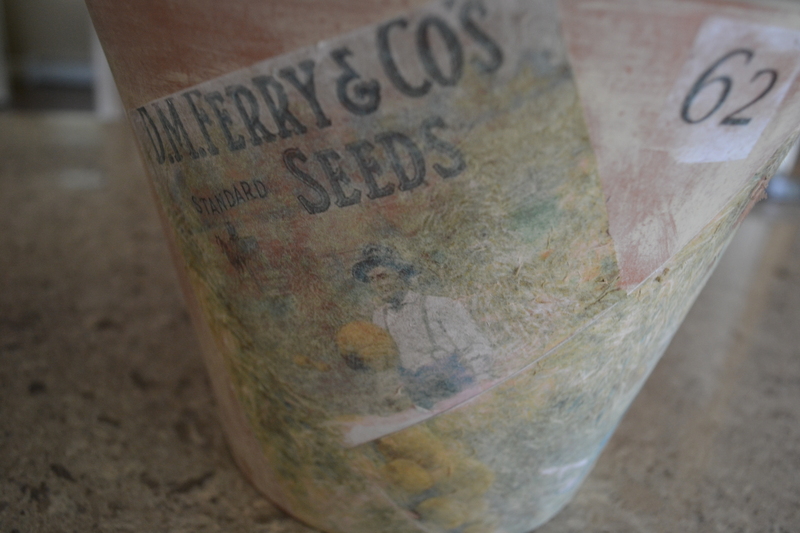 After they were dried I took a sanding sponge to them to give them a weathered look. Once I was satisfied with the look, I went on Pinterest and found a fall image I liked and used the Mod Podge method. After letting them sit for a full 24 hours this is how the graphic looked. 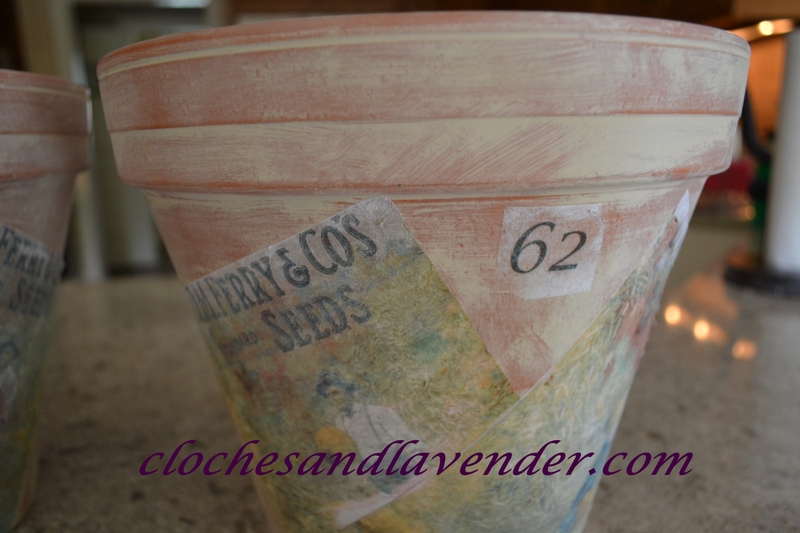 I added an extra coat of outdoor Mod Podge to give the transfers extra protection from weather. 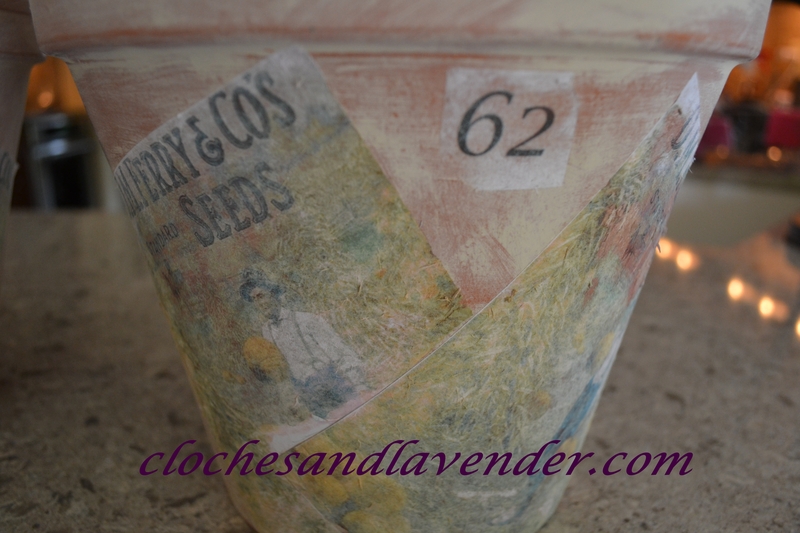 Next post will start the fall tour at Cloches and Lavender. I can’t wait for you all to see. Enjoy your day! 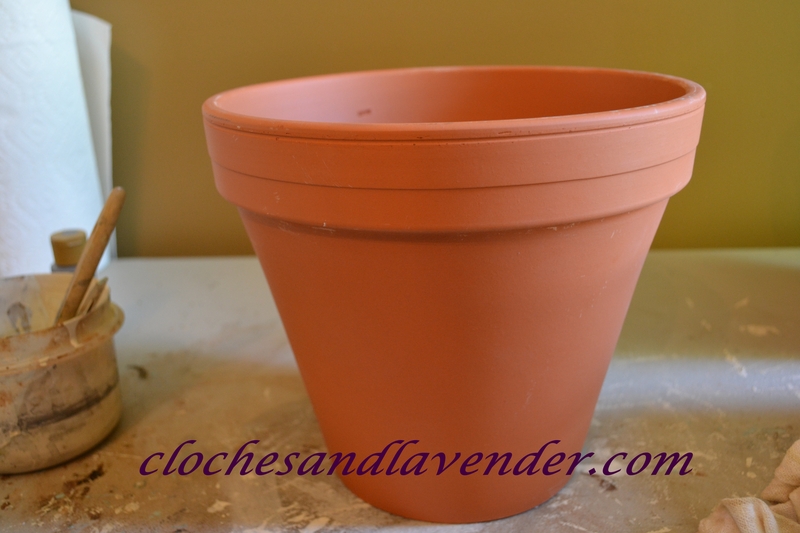 What a great transformation of an ordinary pot! You have been a busy bee! You’re the decopauge Queen Cecilia! Such a huge difference the graphics make. Looking forward to your Fall tour! What a fun project! It is starting to look and feel like fall here too. 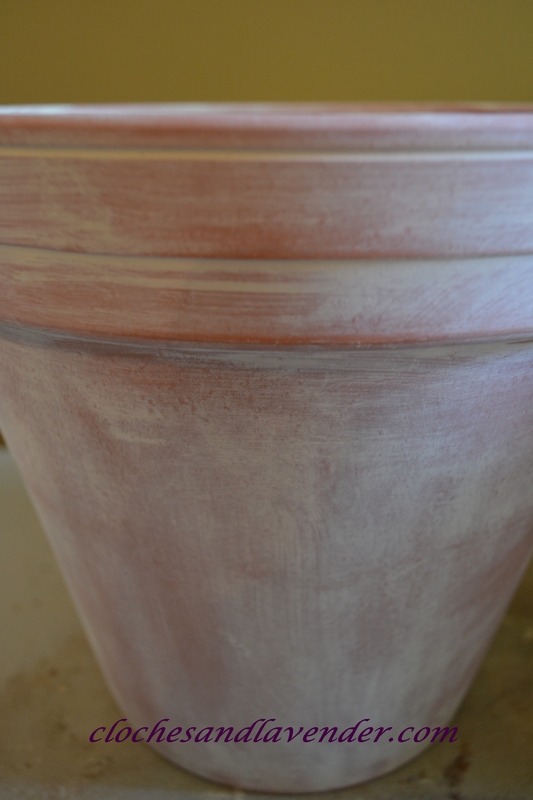 I forgot to mention in your newest post that I just love that huge urn you have by your front door, it’s gorgeous!